ASIFA – SIGGRAPH Picnic in St Johns. Hang with pros, veterans and students of local animation and computer graphics, and enjoy drinks, ice cream, socializing, good times, a raffle, a silent auction, BBQ and or course ice cream. Fundraising items such as a Portland area boat ride and Art donated by our members. All friends, family and friendly dogs welcome. Hosted by Zornado Designs, ASIFA Portland and Cascade ACM SIGGRAPH. BYOA (Bring your own art, animation and drinks — alcohol not provided). Ice Cream Provided — bring toppings. Enjoy an evening with animation star Kathy Zielinski. She animated classic villains and heroes for over three decades at Disney, Dreamworks, and other major studios, working on dozens of feature films from the Little Mermaid to the Book of Life. She is currently exploring animation in live action feature and television projects. Ms. Zelinski will present her journey in the art and business of animation, discuss working as a woman in a largely male art field, her transition from drawn-2D to 3D animation, and offer artistic and technical advice through her personal stories and visual history. She will show her stills and stunning classic animation. Kathy is listed at the 50 Most Influential Disney Animators and one of the first women to have earned a credit of supervising animator on a Disney film. She is known for her work on Frozen (2013), How to Train Your Dragon (2010) and Kung Fu Panda (2008). tickets are $8 for general public, $3 for current members of ASIFA and SIGGRAPH, at the door. Street parking is available. Multiple MAX light rail and bus lines run near the venue, so look for transportation going to the PSU campus. 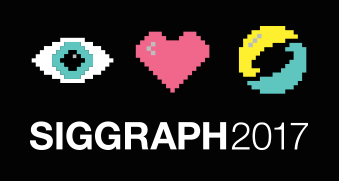 This year we are excited to kick off the NW Animation Festival at the Hollywood Theater, with a showcase of the SIGGRAPH Computer Animation Festival. The NW Animation Festival is one of North America’s largest Animation Festivals, right here in Portland. Tickets and week-long passes will be available soon. Sign-up for for breaking festival news at the nwanimationfest.com website. In the meantime, take a look at this year’s lineup of shows and begin planning your personal animation bonanza. Shake your bootie at the launch of Design Lab, a Design Week open house. Cascade ACM SIGGRAPH, ASIFA Portland and Bent join forces to bring you an interactive dance party and tunes with DJ secret surprise and LightTroupe. We also need able bodies to help set up and tear down the dance space. If you can help in any way (driving, moving, running errands) please sign up here. Get involved in your community and give back with a good deed. You never know what it could lead to. Parking is available on the street and Trimet bus #4 Division/Fesseden bus [to Gresham] goes right by Bent. There will be a big tent in the parking lot outside Bent, so come on in. About Design Lab— BENT’s newly launched Design Lab is pushing the envelope in VFX and ID work with an emphasis on high end composition and a globe-trotting roster of artists and creative directors. https://2016.designweekportland.com/openhouses/bent-design-lab. Global Game Jam gives us an opportunity to develop a game amongst friends and new acquaintances in 48 hours with the Portland Indie Game Squad community! GGJ is the world’s largest game jam (game creation) event, taking place around the world at physical locations. Our space is open to — and provides great opportunity for– all those who wish to participate, including total beginners, industry veterans, and anything in between. This event will operate in an inclusive, discrimination-free environment with no tolerance for abuse or harassment. Jammers are encouraged to not form teams beforehand to inspire new relationships via the icebreakers at the beginning of the 48 hour period, though I am aware that some people are predisposed to working with each other or alone and will do so regardless, and that’s okay! Sleeping space and some equipment will be provided, though jammers are responsible for their own overall health, wellness, and other needs (which will be supported via suggested breaks, mealtimes, etc.). Jammers are welcome to jam remotely, but we ask that you join us on Friday until late and for the last few hours on Sunday. Updates regarding on-location snacks and other logistics will be added to this and other event listings soon. This event is free, and registration is open to the public. We will be hosting a playtest & pitch night soon after the jam for those who want to showcase their projects, and the last 2 hours of our jam will be used as a showcase. Jammers are welcome to use Global Game Jam as practice for the Cartoon Network Game Jam. Jammers are considered officially registered when they have a ticket via our Eventbrite site. Global Game Jam website registration will occur the weekend of the jam. We have room for 90 jammers. If more than 90 people come to the event and plan to participate for the entire weekend, Eventbrite site registrants will be accepted first, then pigsquad.com registrants, then PIGSquad Facebook group registrants, then first-come-first-served. Those who plan to jam remotely or only spend a small portion of their weekend on site at the jam are not required to claim an Eventbrite ticket. Observers are welcome, but should not sign up for a ticket (RSVPing on pigsquad.com or the FB are fine). This event is free and limited to those 18 years and older. If you have any additional questions, comments, or suggestions, please visit the Global Game Jam website. If your question is not answered, you are welcome to e-mail Will at pigsquad at gmail dot com or message an admin on the Portland Indie Game Squad Facebook group! Sponsorship opportunities are available. To hold your place at the jam, sign up for a ticket via this Eventbrite listing! We are a game development and enthusiast community located in Portland, OR, dedicated to providing the area with game related events, networking opportunities, resources, and fun! Follow us on Twitter and join up on our Facebook page to get connected to our great game developer group, and feel free to direct any questions to pigsquad at gmail dot com! Just a heads up – we’ll be updating our web presence very shortly; these forums are not very active and we will be moving into new methods of displaying events, inviting you to events, and communicating via a forum! Until then, our Facebook group is the best forum to use. The inaugural HOMEBREW: A PDX Animation Showcase is an event long in the making. Celebrating recent works from the gamut of local animators, you’ll find the screening collection fun, refreshing and very Portland. Organized and moderated by Sophya Vidal, a long-standing member of the animation and theatre community, creative and thoughtful storytelling are at the core of the program. The screening will be followed by a panel with several of the creators; bring your best questions and get to know your Portland Animation Ambassadors. This event is brought to you by The Animation resource Community Service (ARCS), Portland ASIFA, and Cascade SIGGRAPH. (3 hours). Line-up includes works by Temris Ridge, Curtis Randolph, Mike A. Smith, Kurtis Hough, Paul DeSilva, Laura Heit, Lori Damiano, John Summerson, Joanna Priestley, Tina T. Hsu, Ben Luce, Marylin Zornado, Kyle Stephens, Lars C Larsen, and Beryl Allee. Animation styles consist of Hand drawn 2D, 3D, Cut-out animation, Stop-motion puppet animation, and Motion graphic work. Program is rated PG. Tickets: General is $10; ASIFA/SIGGRAPH Members get in for $5. Purchase tickets: https://www.boxofficetickets.com/bot/wa/event?id=308003 or at the Door. Madison Russell, Vice Chair, SIGGRAPH gives a keynote presentation on Thursday night, Jan 14, 2016, 6:30 pm, at the Empirical Theater at OMSI, on the Studio Ghibli and other Directors. At 7:00 pm enjoy the Kingdom of Dreams and Madness documentary, along with insight and photographs of her visit to the museum in Mitaka, Japan. The Empirical Theater, OMSI, 1945 SE Water Ave., Portland Oregon 97214: parking is available in the OMSI parking lot. Bussing and carpooling is encouraged. Use the Portland Streetcar B Loop and Bus Routes 9 and 15 nearby. Established in 1985 by Hayao Miyazaki, Isao Takhata, and Toshio Suzuki, Studio Ghibli is frequently referred to as the “Disney of Japan.” Producing memorable, quirky films of the highest imaginative caliber, four films have been nominated for Academy Awards. Spirited Away is the only anime, non-English speaking, and traditionally animated Academy Award winner for Best Animated Feature. Join Cascade ACM SIGGRAPH and Affiliates for networking and good cheer: meet at McCormick and Schmidt’s Harborside Bar at the Waterfront Marina, 6:00 pm for a no host bar, drinks and food. Look for the SIGGRAPH table signs. Then watch the Christmas Ships Parade from the marina at 7:00 pm.